For many years, ornithologists classified birds on the basis of their anatomy and behavior – feather color, plumage patterns, leg length, bill curvature, song, nest structure, and hundreds of other characteristics. In the last twenty or so years, however, DNA has been used to clarify relationships among birds, as we do now with humans. Without getting too scientific, I’ll try to briefly explain the process without talking about the details of the chemistry involved. A blood sample is taken from the birds, usually by clipping a toenail and the DNA is extracted from the blood. The DNA, normally double stranded (like a ladder with rungs), is split in half (like a ladder vertically sawed in half ). These half strands are then mixed with half strands of another bird. The half DNA strands will combine with other half strands, some of which will be pure (one bird) and some will be mixed- a half strand from each bird. These hybrid DNA molecules are then heated. Since hybrid halves do not exactly match, they will eventually spit apart from the heating. The more the strands are alike, the more heat it takes to split them. So the higher the temperature before the strands breaks provides a relative measure of how closely the two birds are related. This is the process of DNA hybridization, very simplified. Almost all the 10,000+ species of birds in the world have been examined in this way. For the most part, DNA studies have affirmed the classification determined by anatomy and behavior, and only minor changes were made. One big change, however, is the discovery that storks are more related to vultures than they are to herons and egrets. Looking at a stork’s bald head you can see the resemblance. We now know that falcons are more closely related to songbirds than they are to hawks or eagles. And hummingbirds are just a specialzed version of the nighthawk! Based on DNA, we have split species into two (the Plain Titmouse became the virtually identical Oak Titmouse and Juniper Titmouse) and have lumped two species into one: the Audubon’s Warbler and Myrtle Warbler became the Yellow-rumped Warbler) and the Yellow- and Red-shafted Flickers became the Northern Flicker. DNA has also determined that several bird species such as Hooded Warblers and Eastern Bluebirds are rather promiscuous as one third of the eggs in a typical nest do not belong to the mate of the female tending the nest. We can see evolutionary changes by studying bird populations over time – the reason museum collections exist. 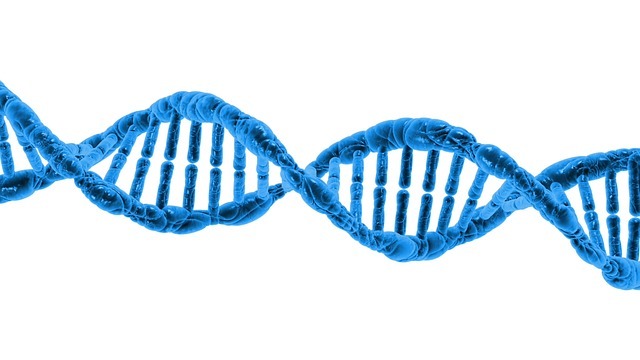 DNA studies give us much more detailed and accurate information over a shorter period of time. One of the most active debates is the relationship of birds to dinosaurs, which ornithologists generally believe is close. Some say that birds are just modern dinosaurs. When we can reliably extract DNA from dinosaur fossils, we’ll have solved another great problem in the fascinating field of evolution. What is the DNA sequence that causes birds to grow wings? That’s a very complex question without a simple answer. I’m not versed enough in genetic technology to provide an explanation but I can tell you that the DNA sequence is not “wings”, but DNA sequences for bone, muscle, tendon, skin, blood supply, feathers, nerves, and so forth. So it’s a bunch of DNA sequences that form a wing. Plus, there is a process called induction in which one bone induces another bone to form, so the DNA sequence is actually bunch of sequences.